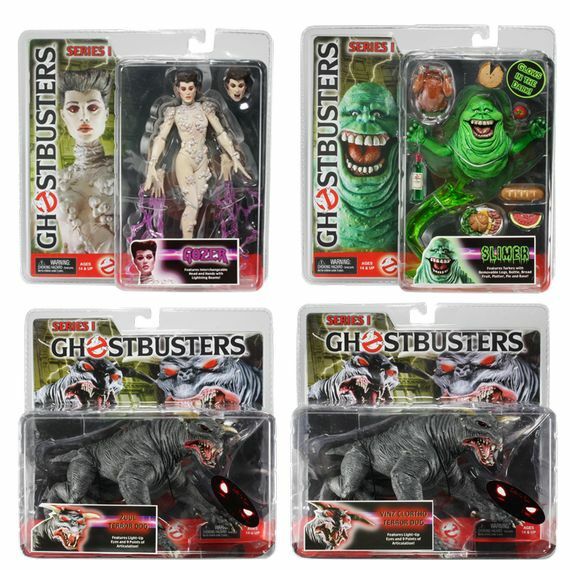 Over the last 2 weeks we’ve found lucky winners for Zuul and Vinz Clortho. 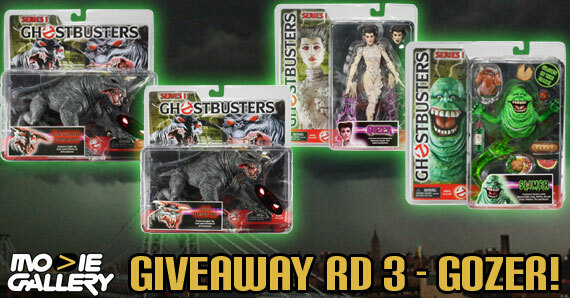 Today, we launch the 3rd round of our Ghostbusters Giveaway. Just to refresh your memory, we’ve received 2 of each of the figures shown below. We’re giving away each one of them individually, and will give a complete set once they’re all gone. NECA is just awesome, arent they? He will come in one of the pre-chosen forms. During the Rectification of the Vuldronaii, the Traveler came as a large and moving Torb! During the Third Reconciliation of the Last of the Meketrex Supplicants, they chose a new form for him, that of a giant Sloar! Many Shubs and Zuuls knew what it was to be roasted in the depths of a Sloar that day. The figure is 7″ tall, and comes with interchangeable head and hands with lightning beams! The contest for Gozer starts 12:01am on 9/28/2012 and ends 12:01am on 10/05/2012. To participate, all you have to do is answer the following question: How many times has Gozer visited Earth? 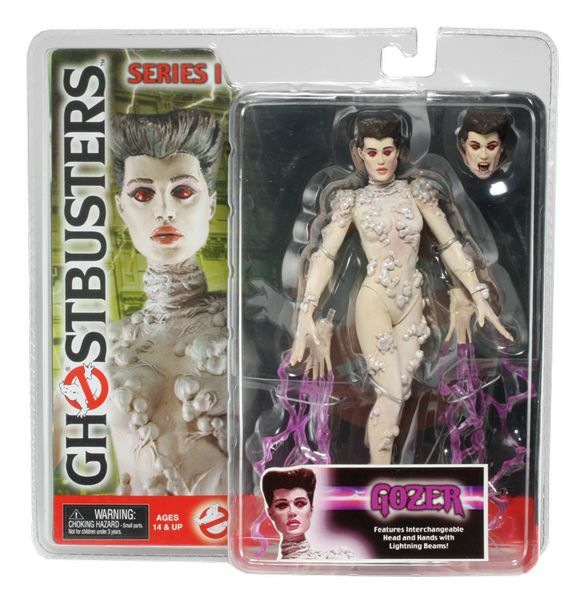 This entry was posted in Contests & Giveaways, The MG Blog and tagged ghostbusters, ghostbusters giveaway, gozer the traveler, vinz clortho, zuul by mgadmin. Bookmark the permalink.